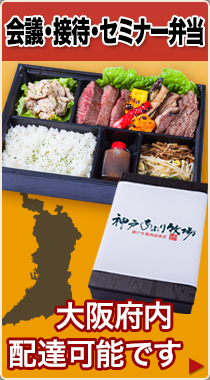 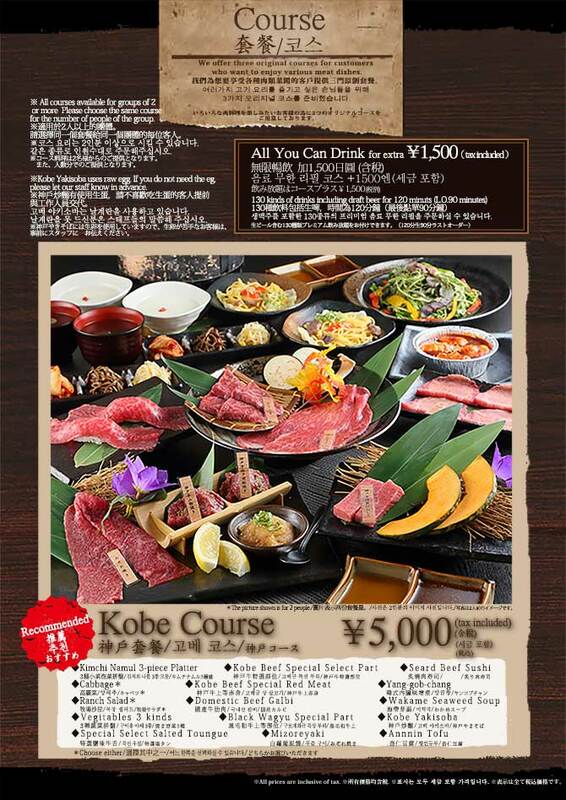 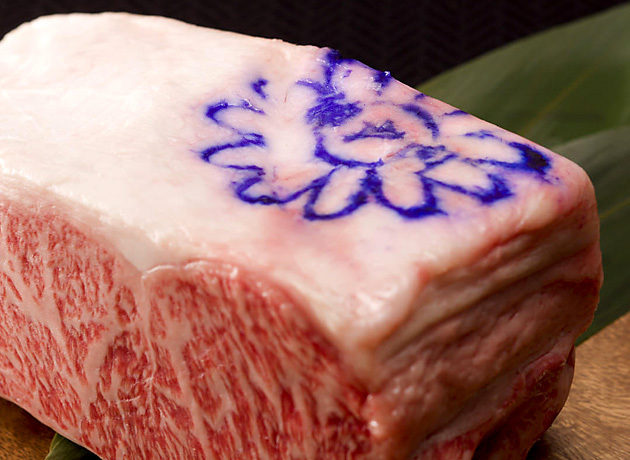 Kobe beef, passing the most stringent Japanese standards, is famous not only in the Japan, but worldwide as a top quality beef. It continues year after year to be auctioned in the market at increasingly incomprehensible prices. 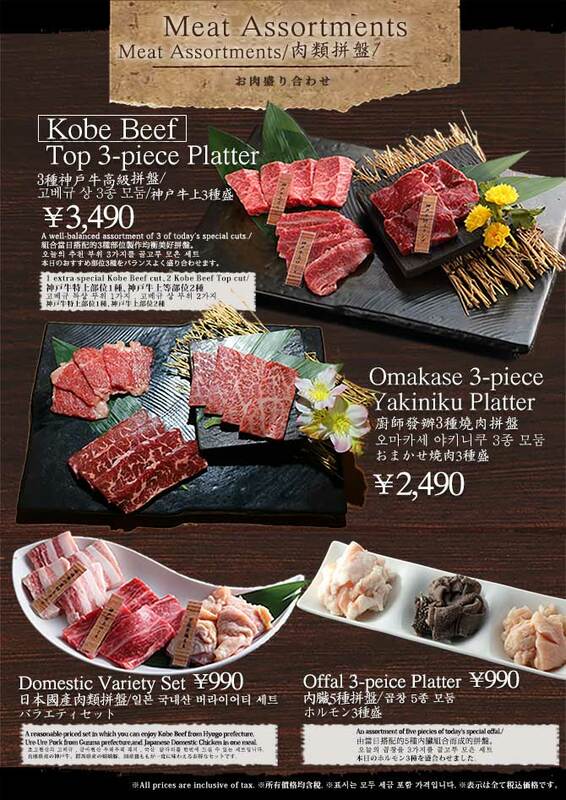 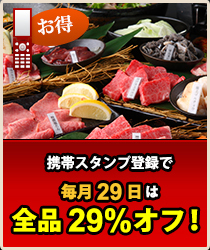 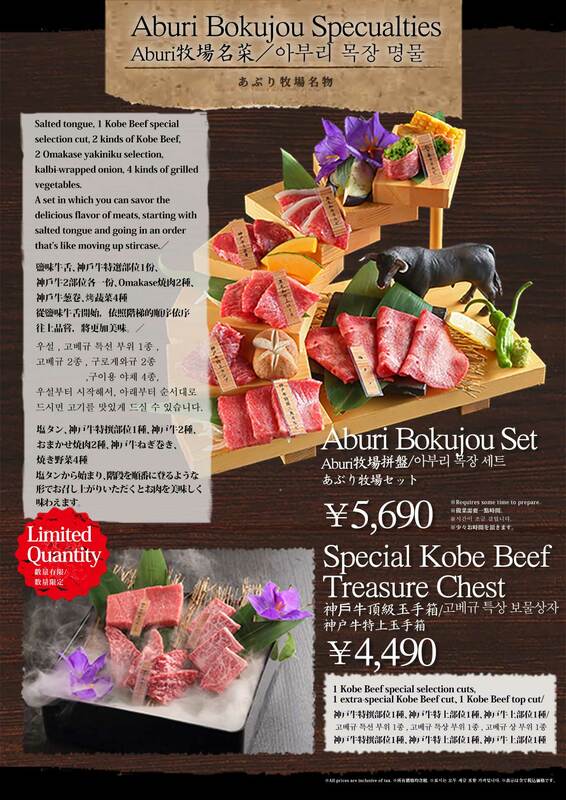 Another major problem Kobe beef prices face is the complex distribution channels, starting with the requirement that the beef must be auctioned, and followed by the processors, original distributors, intermediate wholesalers, and retail butcher shops and other middlemen that add to the final price. 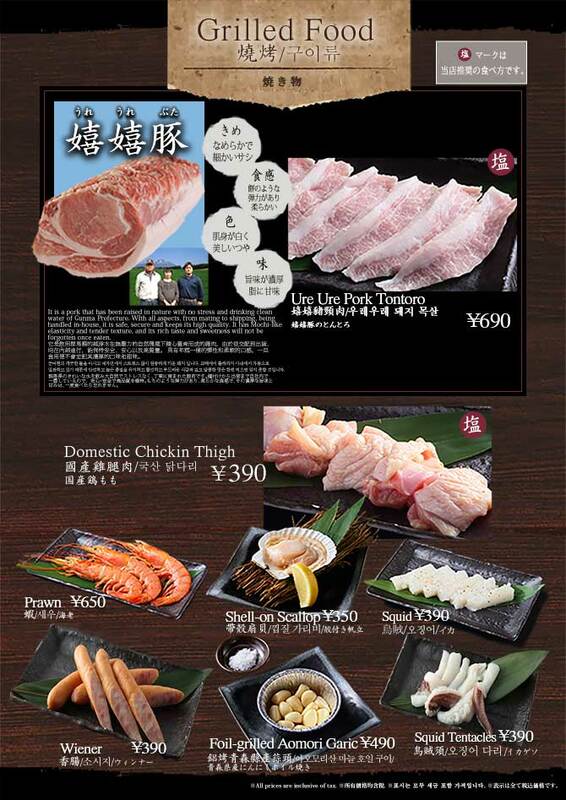 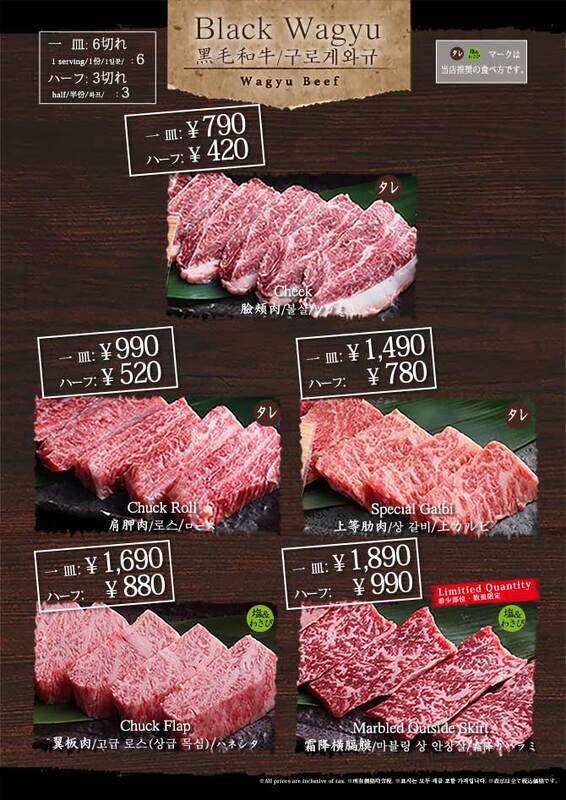 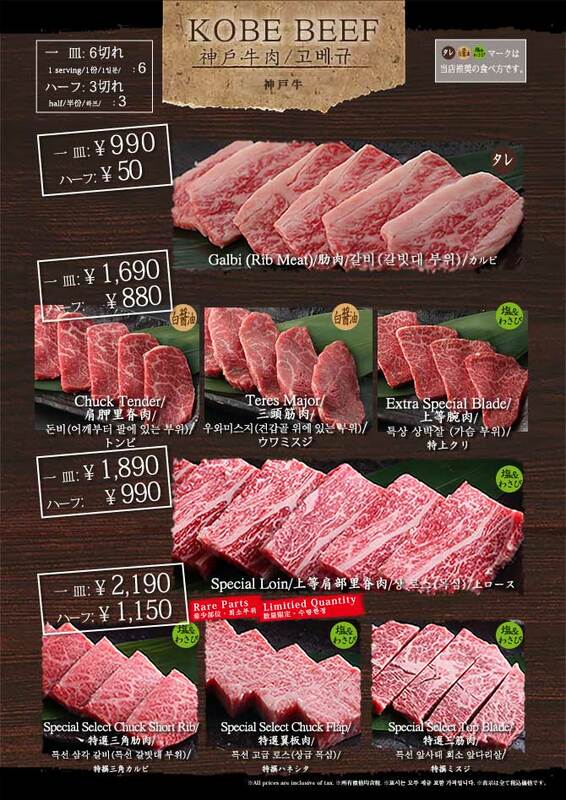 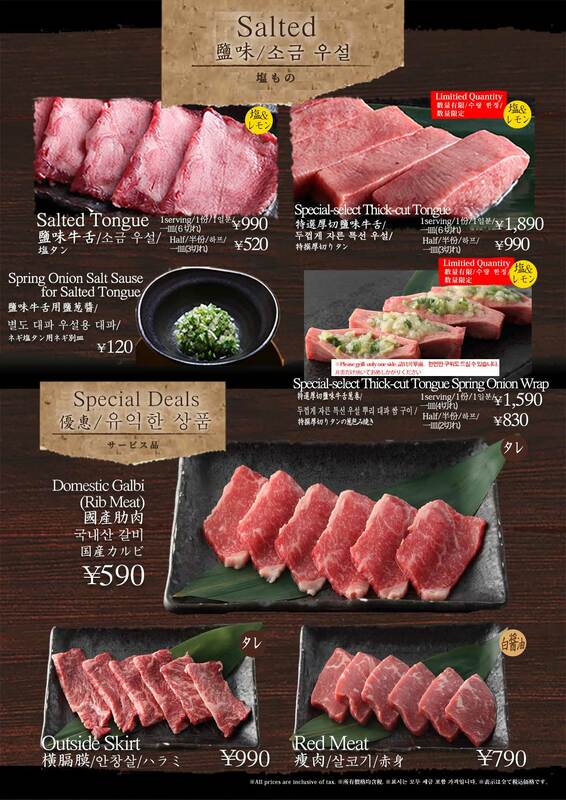 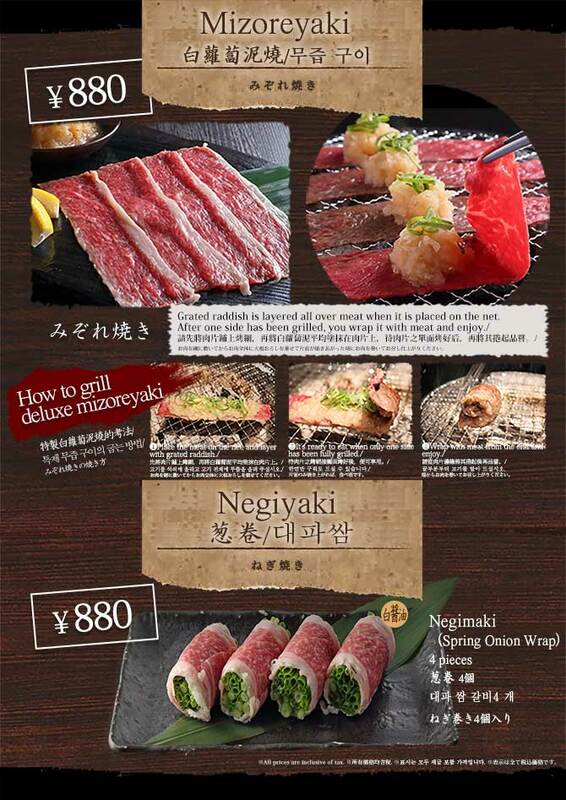 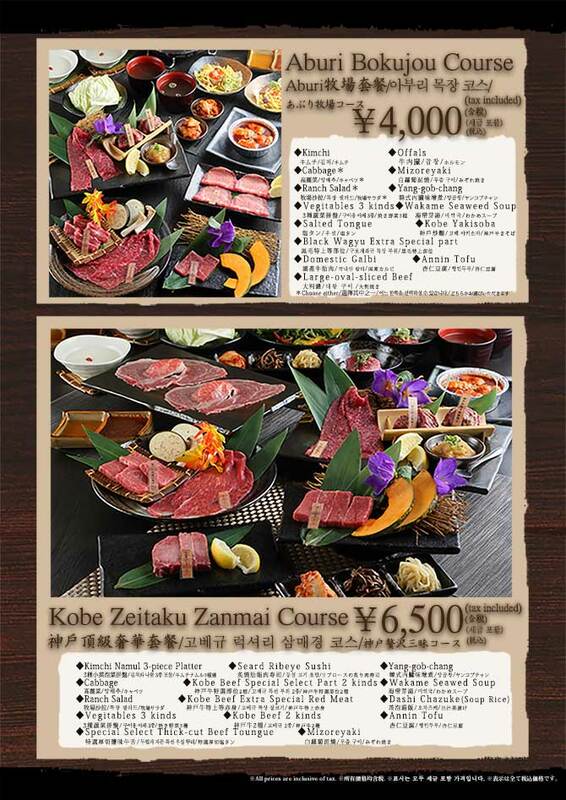 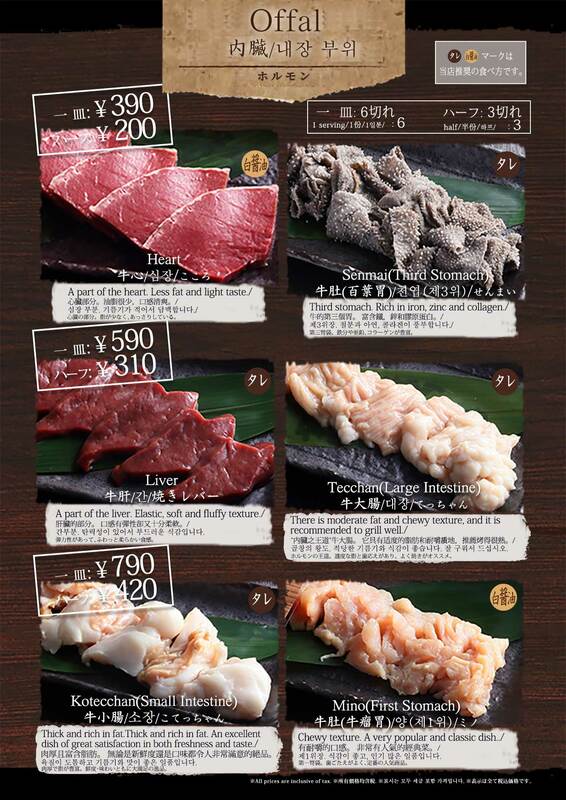 In an effort to reduce the cost to the customer, we try to cut out the middlemen as much as possible, and select sections of the cow that are still the high grade expected in Japanese barbecue, but are difficult for steak houses to use, therefore allowing us to provide high grade Kobe and Japanese Black beef at a low price. 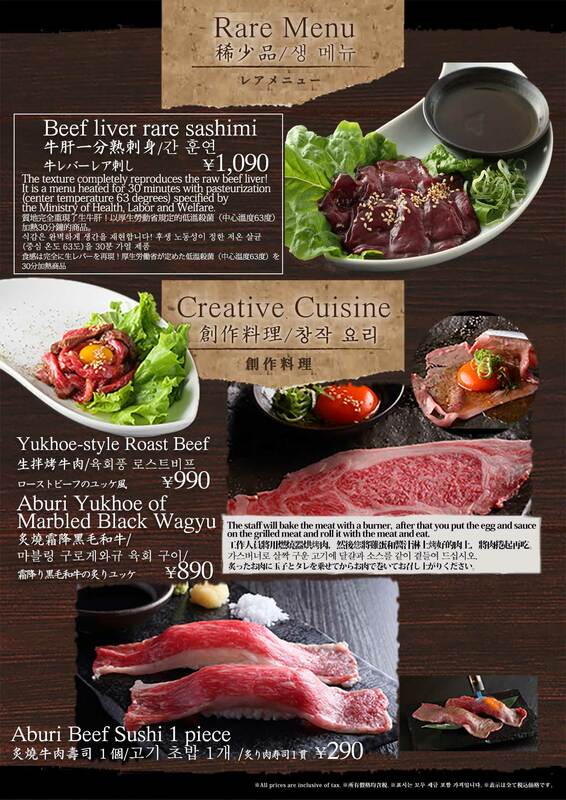 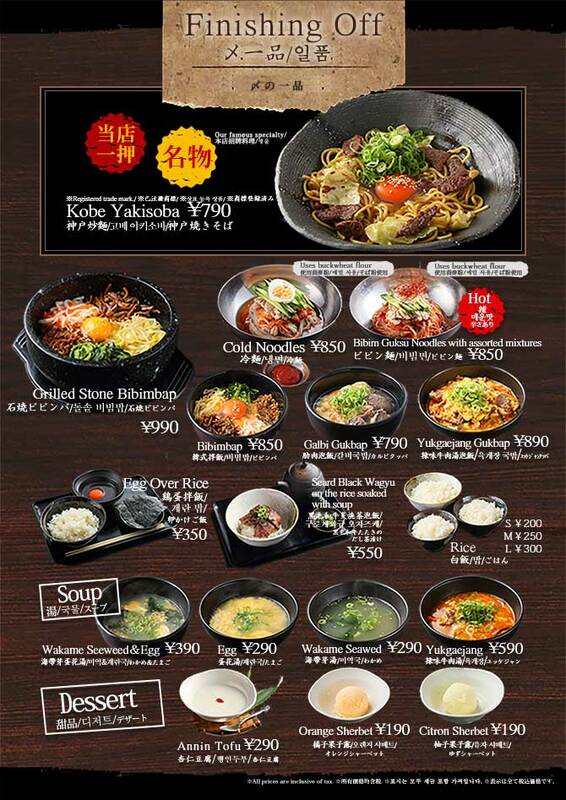 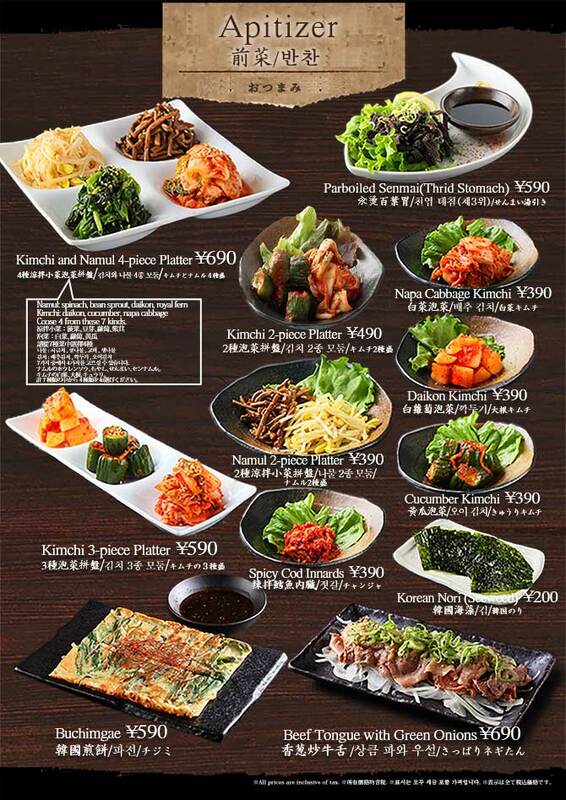 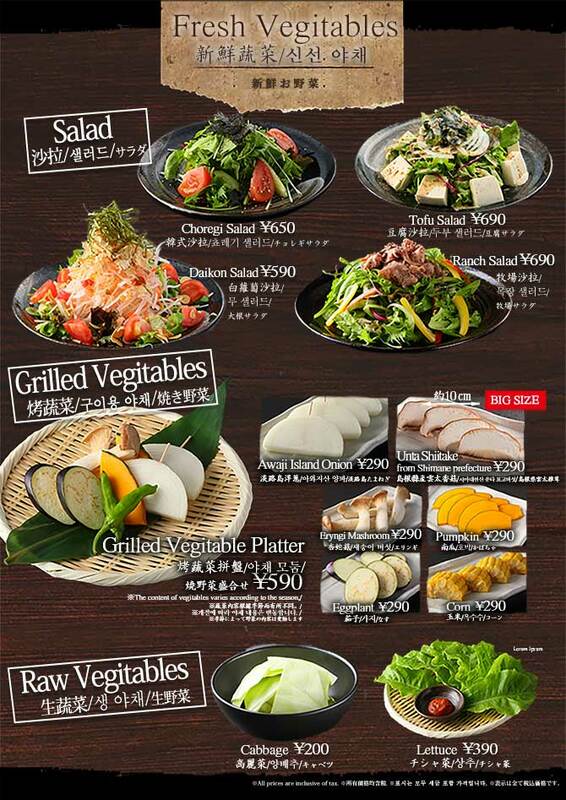 We prepare a normal course dinner, Tan, which includes internal organs and raw eggs for our Japanese customers, but we also offer course dinners with slight variations in ingredients tailored toward the palates of our foreign guests at the same price. 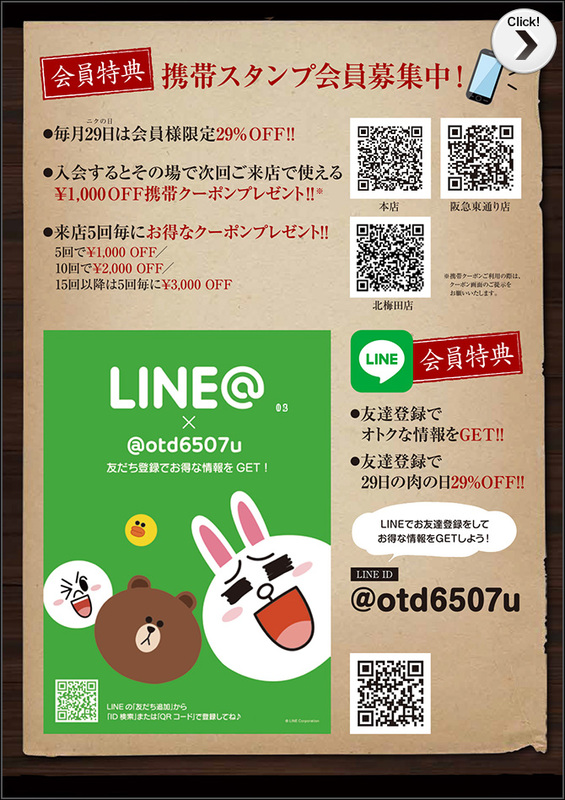 Copyright 2012 あぶり牧場 All Right Reserved.